ROME (ITALY), Monday, November 5, 2018 (MERCURPRESS.COM) - On November 9 starting at nine o'clock, in the Italian Institute for Philosophical Studies in Naples (Palazzo Serra di Cassano), the first General Assembly for the Mediterranean Macroregion will be held. "In that place, with the participation of all, in the spirit of a participatory democracy, I trust, that unanimously, we can close the first cycle of debates and conferences through which different topics have been addressed. This is what Paolo Pantani, President Emeritus ABC ACLI Cultural Heritage and coordinator of the event, declared. "We are all now convinced - continues Pantani - that we must overcome a regionalism in crisis and at the same time be on guard against populism that is heading towards a centralization of functions and a nationalization of decisions that does not benefit the country and Europe. With this in mind, we hope to lay the foundations for the second phase aimed at establishing a Mediterranean Macroregion. 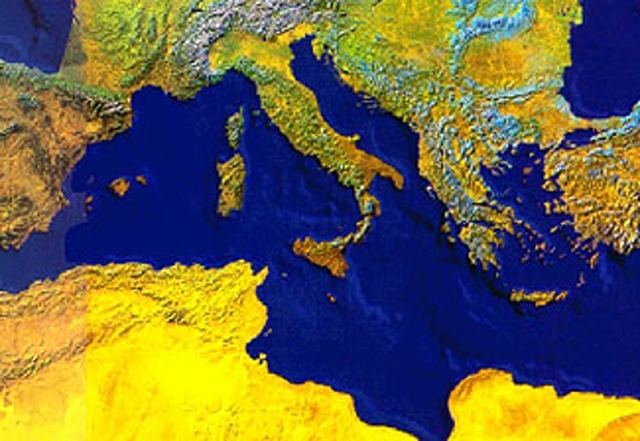 Many speakers will take part in the works, illustrating the different themes of reference that will constitute the basis for a strategic project aimed at the development of the Mediterranean Macroregion. The themes that will be treated will concern: The territorial context, infrastructures, services, institutional aspects, environment, culture, health of peoples and citizens. The following have ensured their presence: Paolo Pantani - President Emeritus ABC ACLI Cultural Heritage; Rocco Giordano - Transport Economist; Berardo Impegno - Lecturer in Philosophy; Emanuele Raimondo - Researcher in Legal Studies; Beya Ben Abdelbaki Fraoua - Consul General of the Republic of Tunisia; Antonio Cirino Pomicino - Honorary Consul of the Kingdom of Morocco; José Luis Solano Gade - Consul General of the Kingdom of Spain; Stanislao Napolano - Medical Director President of the "Carlo Filangieri" Association; Alessandro Citarella - Representative of Meridem; Pasquale Persico - President of the Observatory of Cultural Heritage; Vito Grassi - President of Unindustria Campania; Cristina Fiorenzano - Representative of Basilicata Region; Adriano Giannola - President of SVIMEZ; Roberta Varriale - CNR Institute for Studies on Mediterranean Societies; Ennio Forte - Transport Economist; Renè Georges Maury - Geographer; Giovanni Saccà - Engineer in charge of the Railway Transport Studies Sector CAFI; Pietro Spirito - President of the Port Authority of the Central Tyrrhenian Sea; Cosimo Inferrera President of the promotional committee Macroregione Meridionale Occidentale; Carlo Amirante - Constitutionalist; Francesco de Notaris - Director of the Assise Bulletin; Antonino Aurilio - Medical Director, U.O.S. Director.M.C.O. ; Carlo Amirante - Constitutionalist; Francesco de Notaris - Director of the Assise Bulletin; Antonino Aurilio - Medical Director, U.O.S. Director. Basic Medicine District; Francesco Montanaro - Medical Specialist Gastroenterologist President Institute of Atellani Studies; Egidio Montibello - Physician former director of UOC Training and Upgrading ASL NAPLES 2 North; Vincenzo Senatore - Head of Drafting The Money; Sandro Staiano - Constitutionalist; Renato D'Amico - Professor of Political Science; Andrea Piraino - Constitutionalist; Stelio Mangiameli - Director ISSiRFA - CNR; on. Andrea Cozzolino - Eurodeputato - Vice-President of the Commission for Regional Development; on. Paolo Russo - Chamber of Deputies - Vice-President of the Committee for Legislation; on. Giuseppina Castiello - State Secretary to the Presidency of the Council of Ministers.